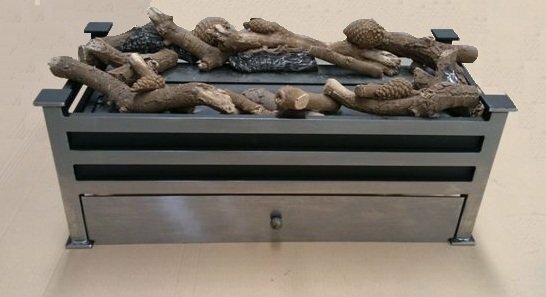 Wall mounted, Standing fire and built into special made-to-measure projects or Freestanding. 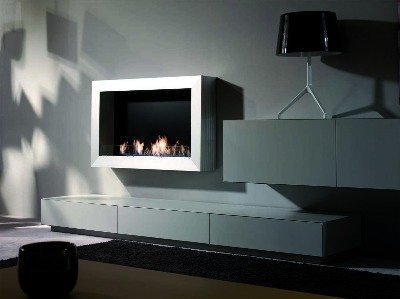 The Atri burns bioethanol fuel, which unlike gel fires does not need cleaning. 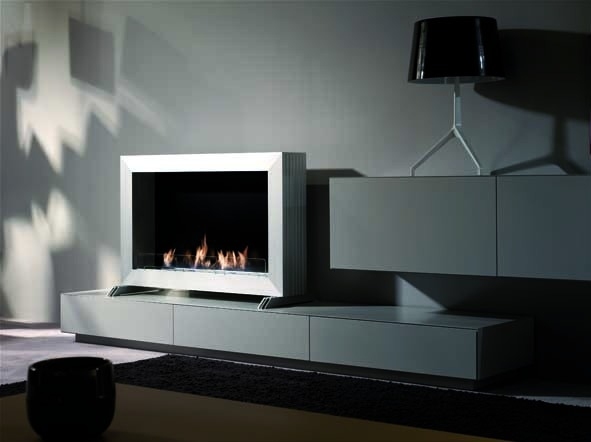 The benefit of bio ethanol over gel fuel, gas and wood burning stoves; is that it allows you to sit around the fire without the usual inconvenience of smoke or strong odour. The fire is lit with an extendable lighter and extinguished using the sliding mechanism so you don't have to stick your hands in the flames. 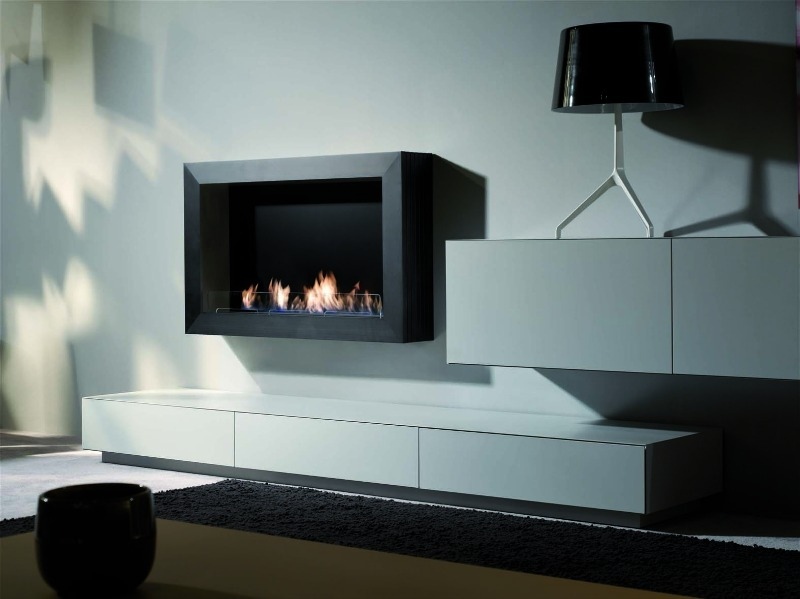 The elegant slim design of the fire requires no dressing of logs or pebbles, although embaglow can be used to give a real glow to the fire.